Sparkle Me Pink: Save 25% on Halloween Costumes - BuyCostumes Orange Tuesday Event Ends 9/2! 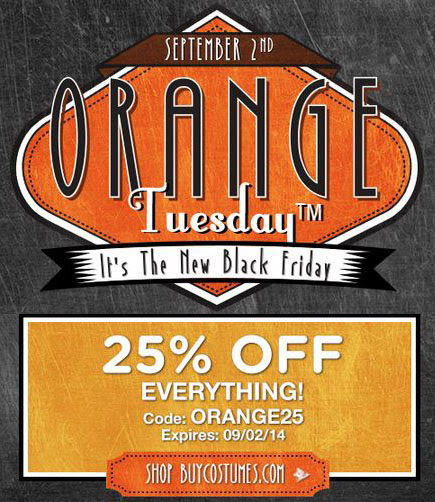 Save 25% on Halloween Costumes - BuyCostumes Orange Tuesday Event Ends 9/2! I am loving this peacock costume, so adorable !! !